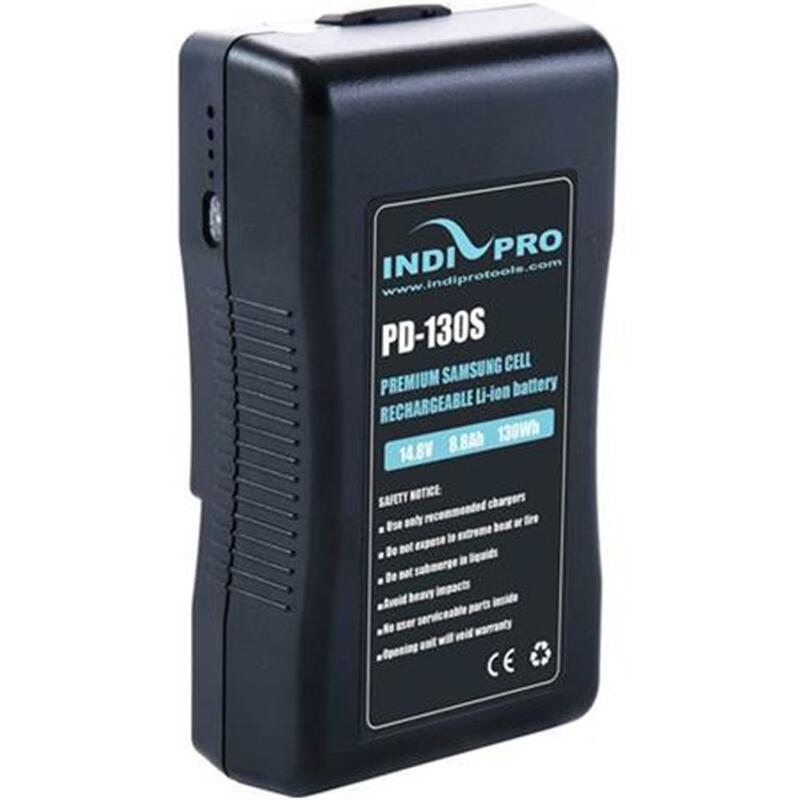 Containing a premium Samsung battery cell, this Compact 130Wh V-Mount Li-Ion Battery outputs 14.8V and has a 130Wh capacity. The battery incorporates a standard V-mount for a secure connection to V-mount accessories and chargers. A built-in 4-segment battery gauge LED display provides readout of the remaining battery power. The battery features an industry standard D-Tap that allows you to power accessories using additional cables (available separately). Dimensions (HxWxD): 6.4 x 3.5 x 2.0 in.